There is Shade Mountain Wine at Ard’s Farm? Shade Mountain Vineyard is located in Middleburg, PA and is a family owned and operated business, just like us, which is only one of the many reasons why we carry their amazing wines in our market! 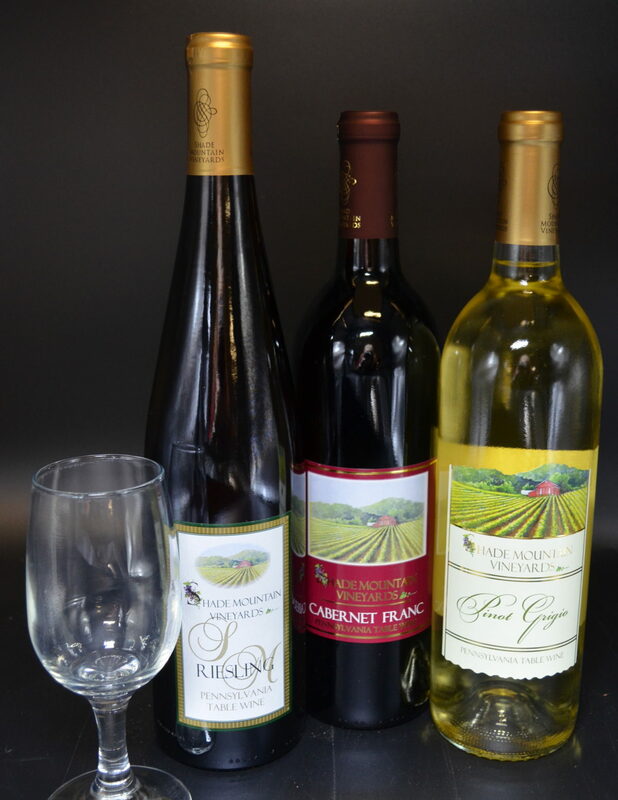 Shade Mountain is one of the only wineries in Pennsylvania that grows all of their own grapes at their vineyard and even though we do not carry all of their wines, we have a wide variety of their reds, whites, sparklings, blushes, fruits and specialty wines. Here at Ard’s Farm some of our customer’s favorites include Shade Mountain Red, Granny Z Mint Iced Tea, Niagara, and Peach. And to make our partnership even better, we also do 5 free tastings here on the Farm each and everyday for everyone over 21 years of age. If you have not yet tried Shade Mountain’s wine, come on in for a visit and do a tasting, you will not be disappointed!